For nonprofit and educational discount pricing, please email orders@tanglewoodbooks.com or call 812-877-9488 to learn pricing, shipment, and payment options, including purchase orders. Our books are fun, but contain a great deal of useful information, too. Discover materials created specifically to help Tanglewood titles come alive in the classroom setting. From art projects, to writing prompts, to reflection pieces, to cooking adventures — find ideas for many of our titles that result in fun in the classroom, library, or home. Make Chester and his mother into puppets. Find all 26 animals in the illustrations of the book, and draw your own. »» Click here for the Almost Perfect Sleepover Activity Kit. »» Click here for two drawing activities. »» Take a book walk and share student memories with these activity sheets. »» Click here to make your own pocket full of hearts to give to people you love, and a great bookmark! 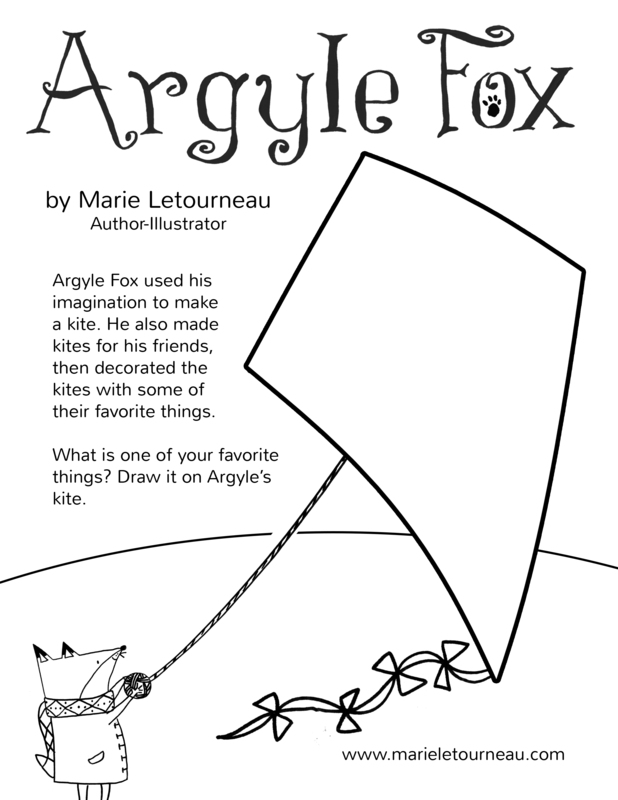 Color your very own kite with Argyle. Make a worry box and send your worries away, or make worry dolls to tell your troubles to. Click here for the activity sheets and instructions. »» Download the Classroom Activity Kit and the Bookstore Event Kit. »» Download the Ashfall Cookbook Sampler. Want the full version? Sign up for Mike Mullin’s email list through his website and receive it as a free gift. Tanglewood has many titles that align with the Common Core. Download the PDF to integrate state standards into the classroom with our popular titles. We know you love hand-selling that book, and we want to make it easy for you to do, even if a customer likes to browse on their own – enter the beauty of the shelf talker. Find pre-made Tanglewood title templates for inspiration or easy print and hanging. As book people, we love to smell, touch, and feast our eyes on the beauty of the tangible object of story. Book displays are wonderful sights to behold. Here are just a few examples of themes Tanglewood titles fit perfectly into for your next table display masterpiece. Publishers love events as much as bookstores, and we want your events to be a success. Here are a few ideas and resources we’ve put together to support you in creating outstanding events with our titles. We’ve got writing exercises, arts & crafts, publicity templates, and more. »» Download the discussion guide featuring 25 thoughtful questions, an editor’s note, and author/book information for an enriching book club experience. With the following three templates, you’ll be able to whip up event materials for Tanglewood authors with ease! Simply follow the instructions in the footer of the documents to create your event materials for Twitter, Facebook, and in-store in minutes.